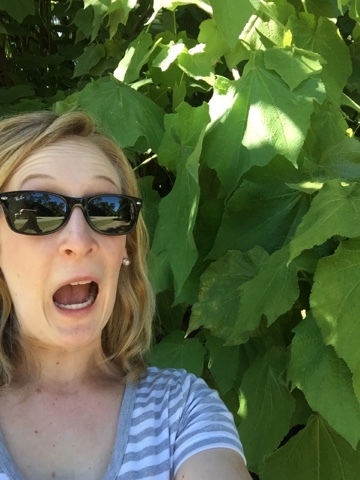 Guys — there are leaves the size of my head out here. Lately, I've been wondering about my brain. How can I improve my memory? What does a healthy brain need? Are there actually ways you can train your brain? I ended up reading a great book on the subject and recently wrote a post called 15 Ways You Can Train Your Brain over on the PurePharma blog.